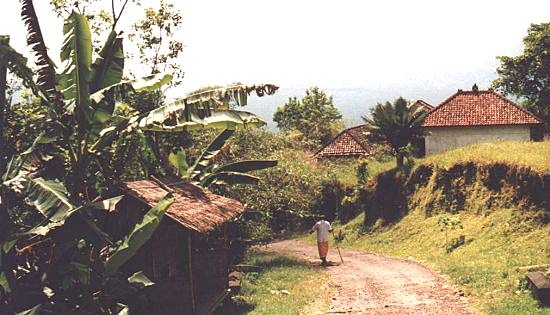 Eastern Bali with rice paddies. 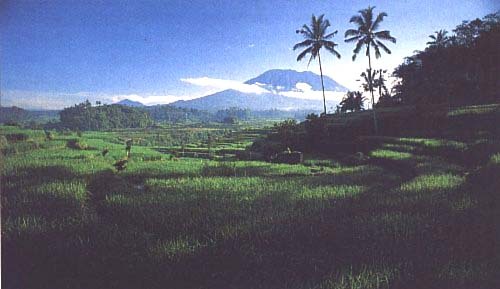 In the background Mount Agung is an impressive landmark with an altitude of 10,000 feet. Mount Agung is an active volcano and erupted last in 1963 killing thousands and leaving 100,000 people homeless.